Firmin are the proud sponsors of New Road FC for the 2018/19 season. The Sheerness team was nominated by Firmin LGV Driver, Paul Gardner (pictured on the right), and has been selected as our Q1 2019 Pallet Pledge worthy cause. We wish the boys the best of luck for the season. Firmin Xpress are very pleased to be sponsoring Milton and Fulston United FC for the 2017/18 season. The team play in the Medway Messenger League, Division 2. Milton & Fulston FC have been established in Sittingbourne for many years, providing opportunities for local people to play football, with teams starting from the under 7’s right through to adults and also includes disability teams. Firmin LGV Driver, David Fall, has close links with the team. 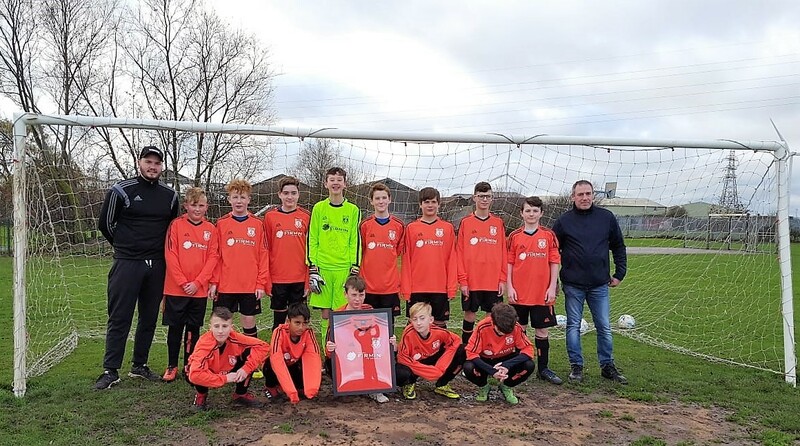 His brother-in-law Andy Baughan has coached the team along with Mike Neale for the last six years and they have developed a close knit team of local players who play the game in the right manner and with the right spirit. David’s nephew plays for the team. Firmin are proud sponsors of Ed and Chris Bridle. Having progressed from kart racing to cars, this season they are competing in the Fun Cup Endurance Championship with Team 7 Racing. We are excited to be continuing our support of the guys, who live in our company headquarters parish of Linton. We wish them the best of luck for the season ahead. You can follow their progress on the track here via their team website or click on the links below to find out more about Ed and Chris. Firmin Xpress and Firmin Recruit are sponsors of Maidstone Rugby Club for the 2017/18 season. We are delighted to continue our support and be associated with a highly successful community rugby club. Alan Firmin was Chairman of the club in the 1960’s and 1970’s and Paul Firmin is a Vice President and ex-player.